COMP Cams is proud to receive the Best New Street Performance Product award during SEMA Show 2017 for its new FSL Series Camshaft for GM L99 Engines. It is the first performance aftermarket camshaft in almost 20 years to pass the stringent California Air Resources Board (CARB) Executive Order (E.O.) process for a domestic engine. The CARB E.O.-pending camshaft offers drop-in convenience, with no valve spring change required, for Gen V (2010-15) Camaro SS GM L99 engines. Designed to work with factory Variable Valve Timing and require no computer reprogramming, the camshaft also features unique profiles on switching and non-switching cylinders for compatibility with Active Fuel Management systems. 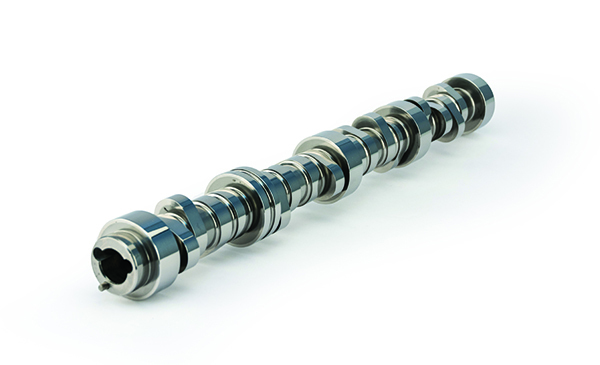 It provides the proven 30- to 50-HP improvement typical of smaller COMP Cams camshafts in LS applications without the risk of non-compliance with emissions regulations. The COMP Cams FSL Series Camshaft for GM L99 Engines is the first in a new series of 50-state legal camshafts from the absolute leader in valve train technology.